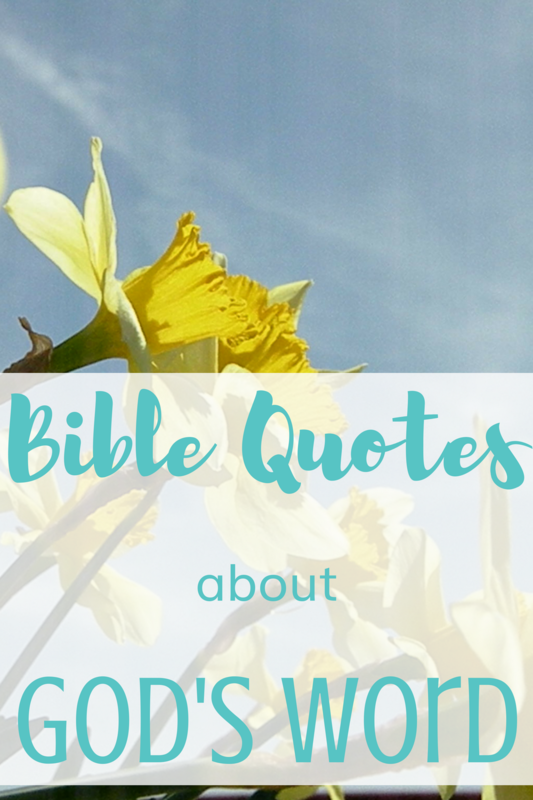 Today, let’s consider some Bible quotes about God’s Word. One of the foot-notes in my Bible, reminded me of the importance of Bible reading. I could spout the typical Christian reasons–friendship with God, learning more about God, it’s what any good Christian does, etc. I could continue by reminding you, what we spend our time with and on becomes a part of who we are. For example, if we listen to the radio long enough, the songs we listen to begin to become a part of us–we begin to recognize the beat and have the lyrics memorized. And I could go even further by combining those two ideas–knowledge of God and becoming who or what we spend time with. Do you recall Matthew’s account of the temptation of Jesus in the desert after His baptism? 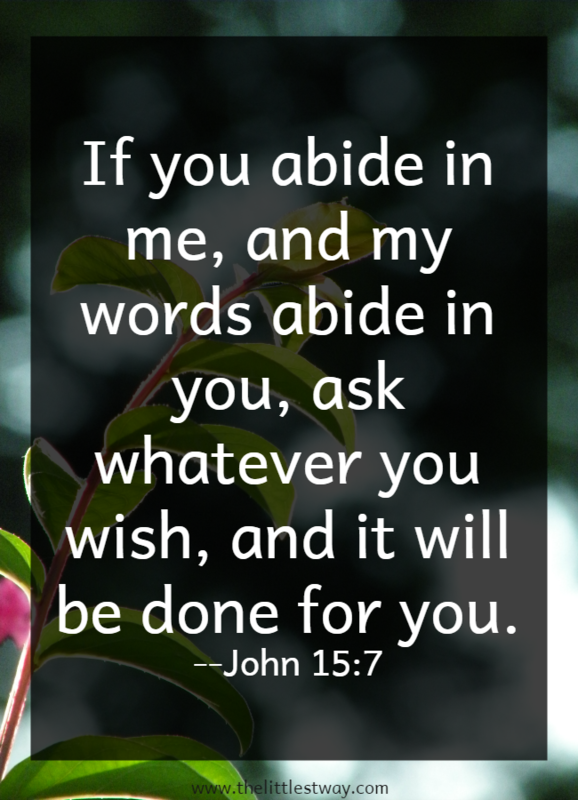 (Matthew 4:1-17) One of the notes in my Bible was, “Jesus’ victory sets an example for Christian obedience. Earthly life is a wilderness trial for God’s people in route to the land of heaven…Triumph is possible through penance and obedience to God’s Word.” Obedience to God’s Word. To be obedient to God’s Word, we have to know God’s Word, right. Just because someone can quote scripture does not mean they are a Christian. Hebrews 4:12 states, “For the word of God is alive and active. Sharper than any double-edged sword, it penetrates even to dividing soul and spirit, joints and marrow; it judges the thoughts and attitudes of the heart.” If the enemy comes at me with words that are sharper than any double-edged sword, a simple, “Go away!” May not be an effective means to fight off his attack. So back to knowing the Word of God. Let’s take the example of Christ and when tempted by the lies of the evil one, let’s respond with the truth of God found in His Word. And by respond, I don’t mean just with our mouth, let’s respond with our whole life. How strong would we be if we spoke the Word of God and lived that very same Word? We cannot say “No–No–No” as we walk toward “Yes–Yes–Yes.” Another lesson here, do not be intimidated or impressed by someone just because they can spout off some Bible verses. Be more impressed by one who cannot quote the Bible but lives it. And honestly, can we address the penance part of this? I know the author of that foot-note had something very different in mind than I took it. I don’t want to speak for anyone other myself, but reading the Word of God, well, it sometimes feels like a penance. There are some days I would rather (insert anything else here). But on those days, if I remember, I ask God for the desire to spend time in His Word. I could certainly go to Him, head bowed and full of excuses and apologies. But I would rather ask Him for what I want instead of apologize for what I don’t have. Can you image how sweet that prayer is to Him? 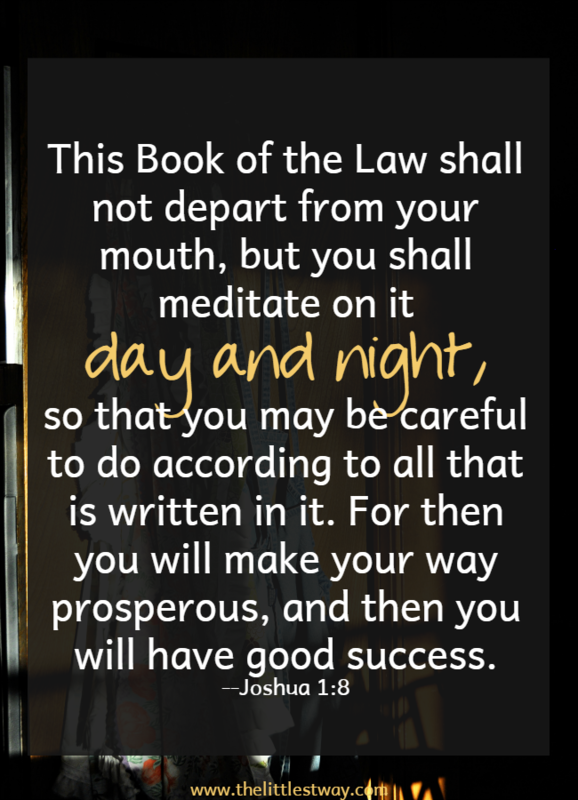 For more about Bible quotes about God’s Word, click the link to this post, Bible Quotes: God’s Word. I was drawn to your remark, part of which was “…asked myself if they changed the way I behaved”. It was interesting I came across your reply at this particular time, because this is what I have been thinking during my reading…hoping my actions and my words reflect my time spent with Him. I am always aware of His forgiving and accepting heart…there for me when I need it most, and especially when I fail. Thank you! It’s those “even when” times we probably learn the most about God and ourselves. I love, LOVE this post! My women’s Bible study is reading through the Bible in 90 days. It’s about an hour of reading a day, and sometimes I just don’t want to do it. 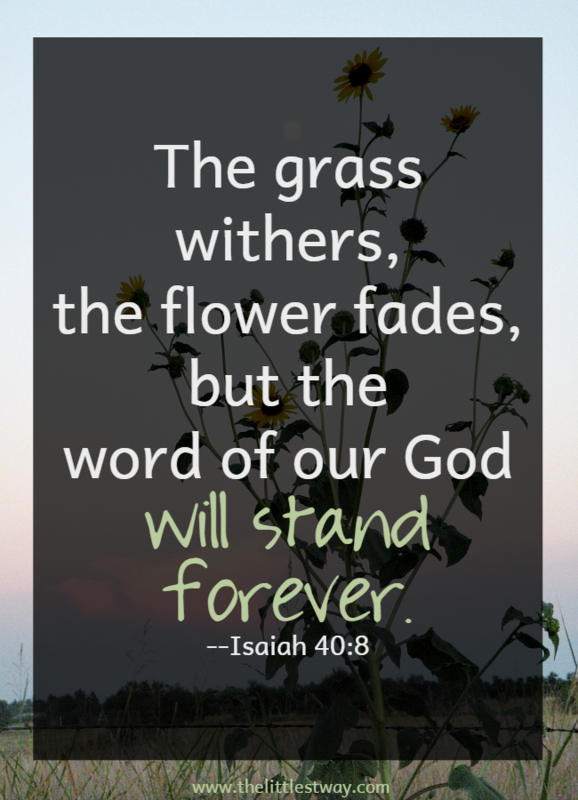 But Isaiah 55:11 says God’s word will not return empty. Reading the Bible (and then living it) is the most important thing I can do. And I agree with Cathy. Once I sit down to read and actually get into the Bible, I never regret it. I agree, once started I’m always glad I did. And those days I don’t do it, I give in to my “feelings,” I regret it later. Great tweets – it so frustrates and embarrasses me when we don’t act Christian – what a waste of our time. Honestly – thank you for your candor! There are SO many times that I would rather… but I am learning to just set that time and try to stick as close to it as possible, “want to” or not. It is a joy that within minutes I no longer “want to”; I am at least reading with little distraction. I will pray, “Lord, take these thoughts from me and turn my mind to You”. With time, I believe the grace of God will open me more and more to listening attentively to His word. What a beautiful prayer! And one I’m sure He answers. When I study scripture, I always ask the Holy Spirit to be with me and to guide my thoughts and studies. For the past three years I’ve been using the NIV Noteworthy Bible (it has an entire blank page on which to journal). I’m creating my own ‘study’ Bible! How lovely and what a sweet keepsake. I love your prayer as well. A great reminder that knowing the Bible without follow through is almost worse than not knowing anything at all. I love the quotes you pulled for tweets! Thank you Amanda. This hit home for me when I realized I could finally quote certain passages from memory, but asked myself if they changed the way I behaved.